I’m currently in the process of moving from Stuttgart to Pennsylvania. I hope to be back with you soon. 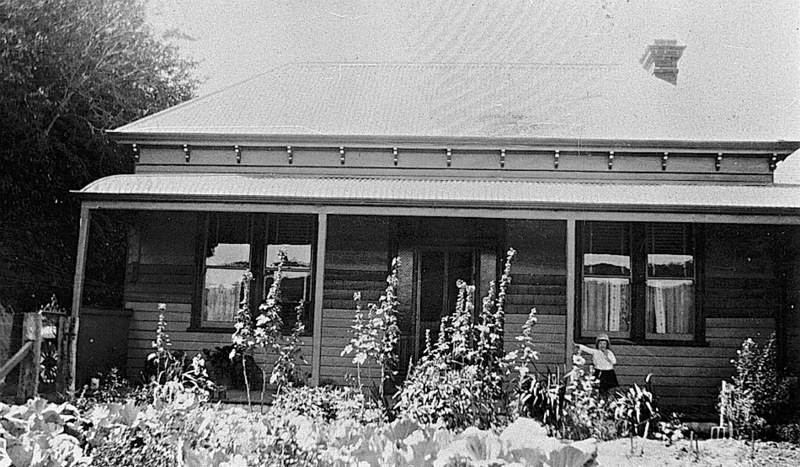 Margaret Bryans standing on the verandah of a wooden house, Ballarat, Victoria, ca. 1935, via The Biggest Family Album in Australia, Museums Victoria Collections (under CC license). 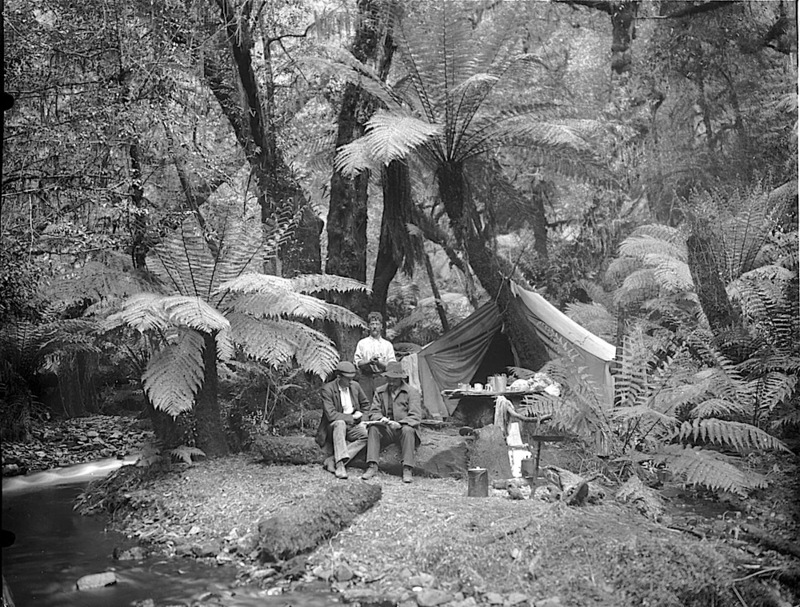 A camp in an Eden-like spot in the forest of the Upper Yarra Valley, Victoria, 1906, by Archibald James Campbell, via Museums Victoria Collections (under CC license). Campbell was an ornithologist and a naturalist, and he made early use of nature photography to record his fieldwork. 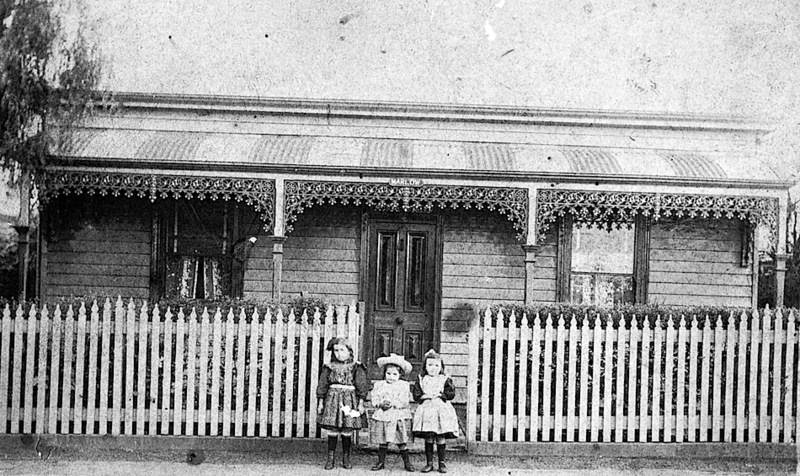 Marjorie, Marion, and Phyllis Kershaw in front of their family home, “Marlow House,” Bendigo, Victoria, ca. 1901, via The Biggest Family Album in Australia, Museums Victoria Collections (under CC license). “Girl playing with Peter Rabbit dolls,” Kingsville, Victoria, 1937, by Gordon Binns, via The Biggest Family Album in Australia, Museums Victoria Collections. The little girl is Phyllis Binns. 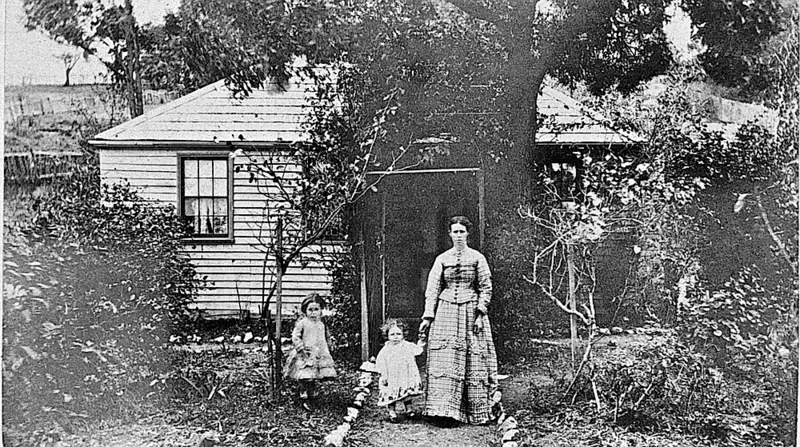 “Woman and children in home garden, Little Bendigo, Ballarat, Victoria, 1876,” by unknown photographer, via The Biggest Family Album in Australia, Museums Victoria Collections on flickr. Little Bendigo was the site of a small gold rush in the 1860s. It took inspiration from Bendigo, Victoria, an important gold mining boomtown of the 1850s. In 1881, the town’s name became Nerrina.